Earth Mother’ Native American deity. 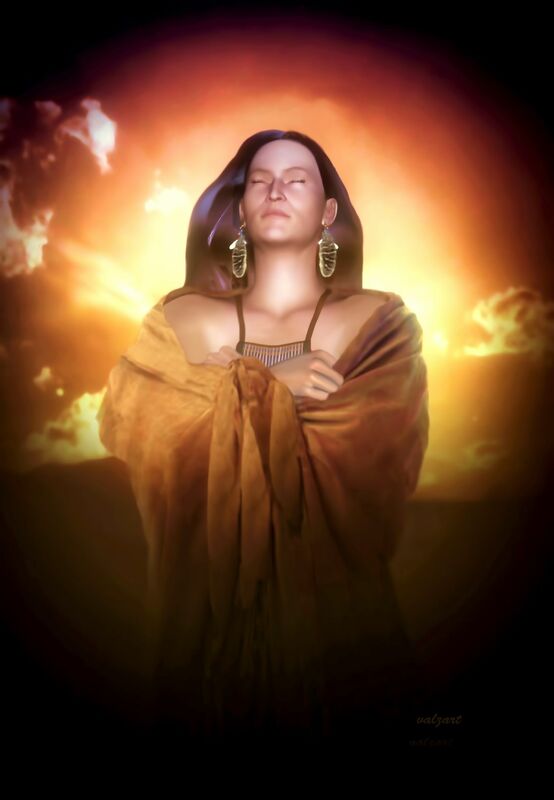 First Mother or Corn Mother is the Native American Goddess of nourishment, and many Native Americans honor Her; She is the personification of maize and the fertility of the Earth. She is a Triple Goddess in that She grows from young to old, eventually sacrificing Herself so that Her body may nourish and seed the Earth with corn so that Her people may live and eat. You whom I made new…. This entry was posted in Art, Books, canvas prints, canvas prints, painting, prophecies, shaumbra, Shops - (Stores), spiritual, Stores, TraDigital Art, valzart, virtual reality, visionary, Writing and tagged 3D, Art, earth mother, figurative, illustration, painting, portrait, spiritual, Valerie Anne Kelly, valzart, Visual Arts, YELLOW by valzart. Bookmark the permalink.